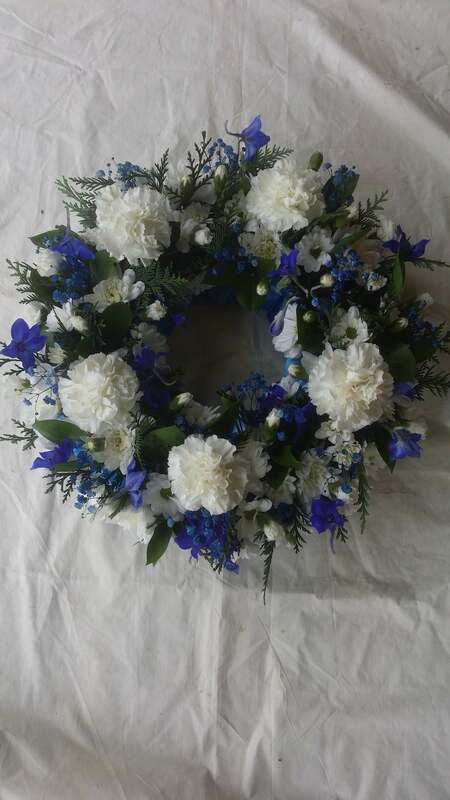 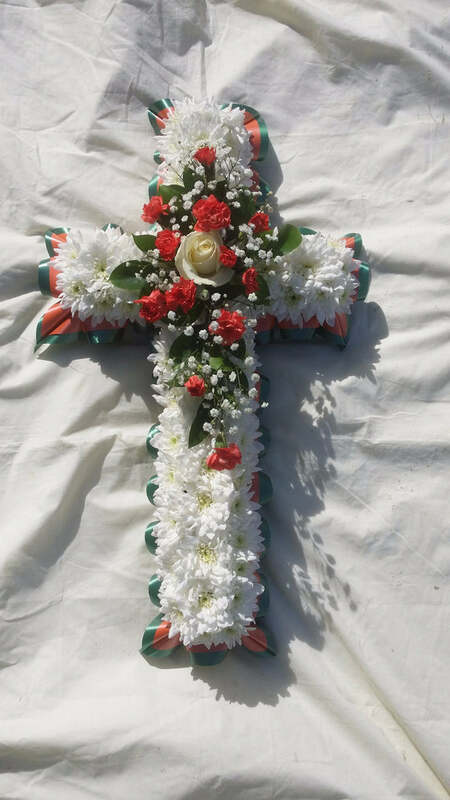 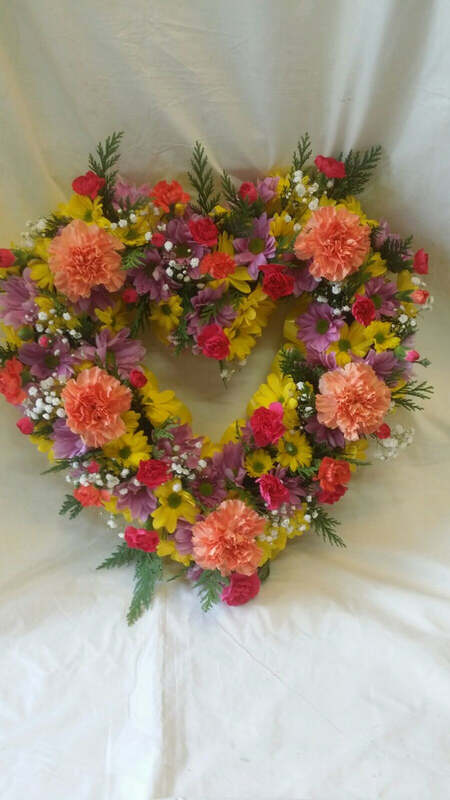 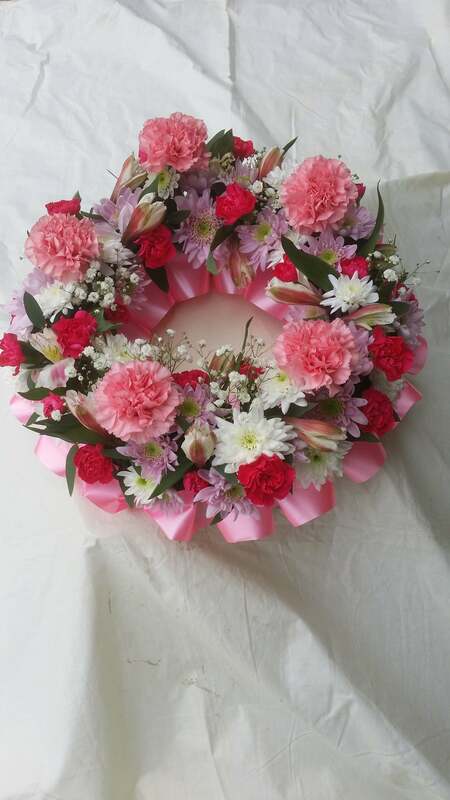 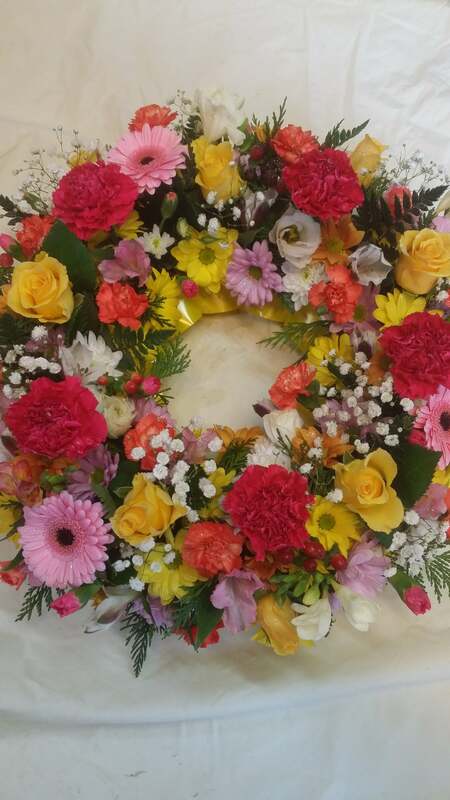 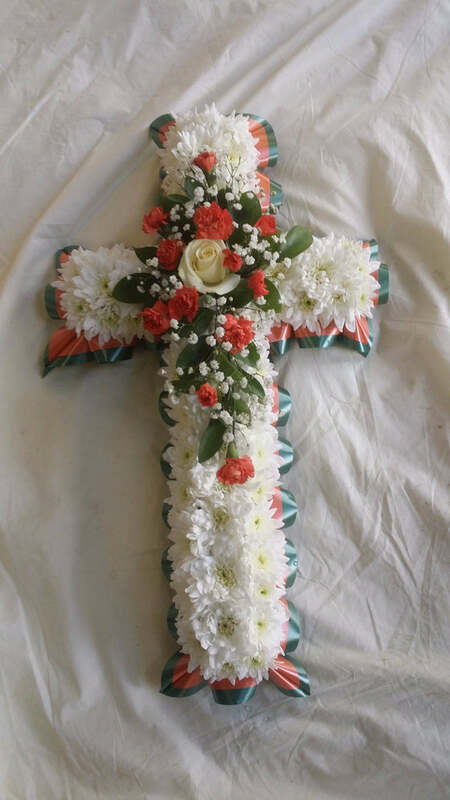 Loose Wreath, traditional circular tribute. Example showing seasonal flowers. 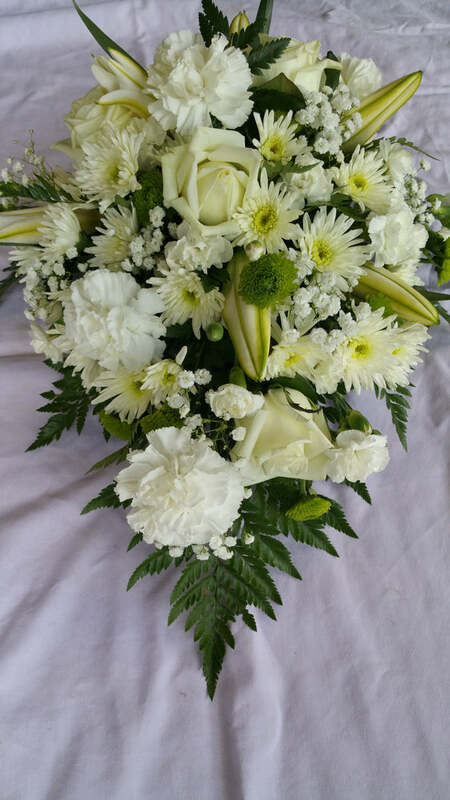 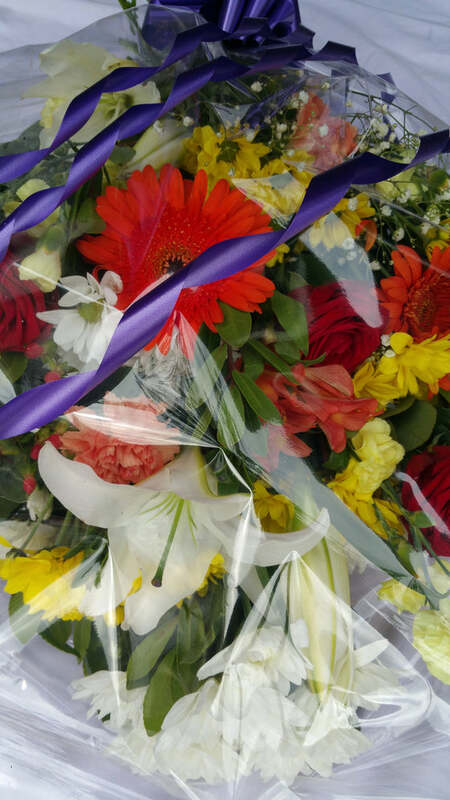 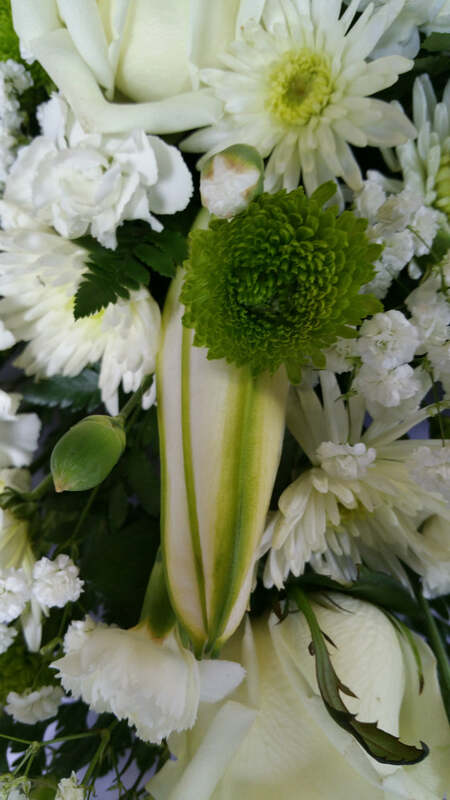 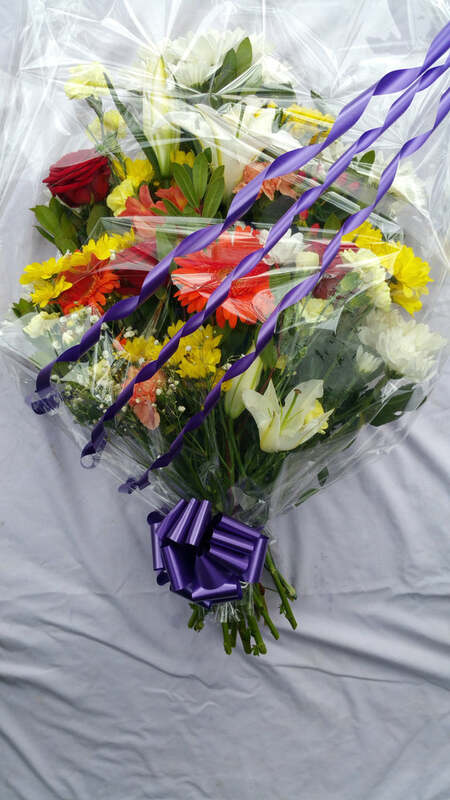 Typical use of both large and spray carnations , seasonal foliage , chrysanthemum , gypsophila , roses or gerbra .